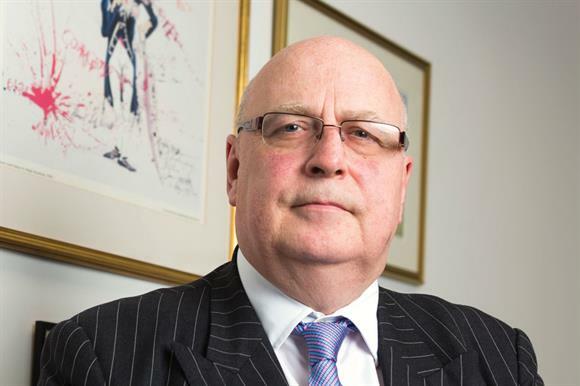 The Fundraising Standards Board should be abolished and the Institute of Fundraising stripped of its responsibility for overseeing the Code of Fundraising Practice, Sir Stuart Etherington’s review of the self-regulation of fundraising has concluded. Published today, the 72-page report recommends that a new body, tentatively called the Fundraising Regulator, should be established to replace the FRSB and given the responsibility for setting fundraising standards. The new body would have the power to adjudicate over all UK-based fundraising organisations, regardless of whether they had registered with it. In the present system, the FRSB only has power over its members, who total nearly 1,400. Etherington, chief executive of the National Council for Voluntary Organisations, was appointed in July to lead the review by Rob Wilson, the Minister for Civil Society. His report says the FRSB should be replaced because it has been ineffective at regulating fundraising and has lost the confidence of the public and charities. The review says the IoF should no longer have responsibility for setting fundraising rules because the organisation remained open to accusations of conflicts of interest and had not administered the current code of practice in a way which has protected public confidence. The review also says that the IoF and the Public Fundraising Association should merge into a single professional fundraising body. And it recommends the creation of a new Fundraising Preference Service to enable people to opt out of fundraising communications. It says that the proposed Fundraising Regulator should have a broader range of sanctions than have been available to the FRSB, including the ability to order charities to stop carrying out certain fundraising activities for limited periods. The proposed regulator should be funded by a levy on the approximately 2,000 charities that spend more than £100,000 a year on fundraising from the public, on a sliding scale based on their fundraising expenditure. In a statement, Etherington said the existing system of self-regulation had "quite clearly failed to prevent serious breaches of trust and widespread dissatisfaction" and the proposed changes would provide effective reform. "Britain is a tremendously generous country, and people have enormous goodwill for charities," he said. "But charities must not take that for granted. We seem to have found ourselves in a position where charities didn’t think hard enough about what it was like to be on the receiving end of some of their fundraising methods. "They thought too much about the ends and not enough about the means. This has been a clear wake-up call and now is the time to tighten the standards." He said there needed to be a shift to long-term thinking in which charities would form meaningful relationships with donors. "This will be a more sustainable approach," he said. "I am confident that charities understand the pressing need to restore confidence in fundraising and will back these proposals." Rob Wilson, the Minister for Civil Society, said in a statement that the recommendations represented a new approach to fundraising self-regulation. "Charities need to work together to make sure vulnerable people are protected," he said. "I welcome the report as an important contribution and aim to consider fully before responding shortly."